As Pakistan plunges more into the dungeons of terrorism and toss morals and ethics aside, its military is targeting more and more villages in cross-border ceasefire violations; killing civilians, women and children, forcing closure of schools and disrupting civil life. Even during the Kargil Conflict of 1999, more than 80 percent of the casualties suffered by our troops were from enemy artillery fire. Indian Army then had the vintage British Cymbeline radars of 1980's that could locate 81mm mortars up to 10 kms and a larger mortars to 20 kms. Besides, the dictum of not to cross the Line of Control (LoC) was unusually applied to Special Forces also who otherwise could have struck the main Pakistani gun position of the enemy, reducing own casualties. India was forced to procure the American ANTPQ 37 radar system off the shelf, which actually was two decade plus old technology and was given to the Pakistan by the US a decade earlier than to India; Pakistan already had the ANTPQ 37 radar system before start of the Kargil Conflict. The AN/TPQ-37 is an electronic-scanned, range-gated Doppler radar, meaning the radar does not actually move while in operation. The radar scans a 90-degree sector for incoming rocket, artillery and mortar fire. The system has a reported range of up to 50 km. The system can also be operated in a friendly fire mode to determine the accuracy of counter-battery return fire. The DRDO too had been working on developing a WLR since 1980's but the urgency was obviously never felt. As per media reports, the MoD had been dragging its feet until 1998 when it issued a Request for Proposal (RFP) for the WLR. However, due to the sanctions imposed on India after the nuclear tests, the US and the French withheld the radars. The 1999 Kargil Conflict facilitated sale of the AN/TPQ-37 radars from the US to India. Same year (1999), Parliament's Standing Committee on Defence also castigated the government for not showing any "sense of seriousness" in acquiring such radar technology. This egged the MoD to step on the DRDO for intensifying development of the indigenous WLR, which has resulted in the 'Swati' WLR now. Study of AN/TPQ-37 would have helped, as Swati is modeled on the same lines albeit it is more user friendly as compared to the AN/TPQ-37, as commented upon in 'Pakistan Defence'. Though the indigenous WLR has taken over three decades in coming, Swati is a good development being indigenous. The Defence Acquisition Council (DAC) of MoD has cleared the acquisition of 30 x Swati WLR from Bharat Electronics Limited (BEL) at a cost of 1,605 cr ($256 million). 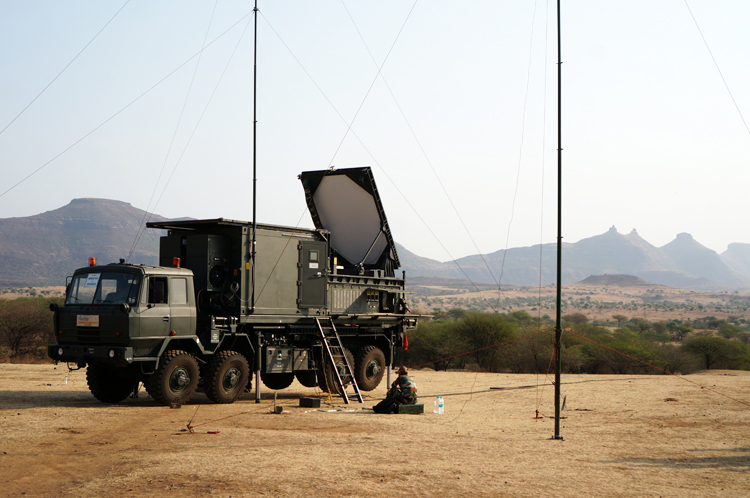 Swati is a mobile phased array WLR that has has been jointly developed by DRDO's Electronics and Radar Development Establishment (LRDE) and BEL. Its first version was called Rajendra, of which Swati is an improved version. It is similar to the ANTPQ-37 – both having the instrumented range of 50 km. Interestingly, Pakistan media places the range of Swati WLR to: 2-20 km for locating 81mm mortars; 2-30 km for location 105 mm guns, and; 4-40 km for locating unguided rockets. Swati WLR displays the information on ruggedized PCs on a high resolution multi-mode colour display. The data is displayed in real-time that can be overlaid on a 3D digital map. The system can store a 100 km x 100 km size digital map at any time – up to 99 weapon locations can be stored and tracked simultaneously at any time as information transmitted to the command centre. Other modes include Plan Position Indicator (PPI), Range-Height Indicator (RHI) displays and the like. The radar antenna can be slewed up to +/- 135 degrees within 30 seconds, which gives the ability to the WRL the ability to quickly change its scanning sector, providing 360 degree scan capability. The Coherent Travelling Wave Tube (TWT) transmitter of the WRL emits 40 KW of power. Swati will automatically locate hostile artillery, mortars and rocket launchers and direct friendly fire to locate the impact of point of friendly artillery fire to issue necessary corrections. It will be used by the Surveillance and Target Acquisition component of the artillery. Swati can reportedly detect incoming shells up to 40 km which can decrease relativity with the size of the target, however, the DRDO is planning to modernize the radar by increasing its effective detection range and reducing the false alarm rate. Swati can reportedly detect incoming shells up to 40 km which can decrease relativity with the size of the target, however, the DRDO is planning to modernize the radar by increasing its effective detection range and reducing the false alarm rate. Induction of Swati radar would assist own forces in major way in mountainous terrain of the LoC where Pakistan is at an advantage geographically. Usually, after firing, artillery and mortars are moved away to avoid detection but space for doing so in mountains is limited. Deployment of Swati could restrict Pakistani ceasefire violations since any firing by Pakistan would, now, immediately reveal the location of their artillery guns and the ability of the radar to launch counter-fire would mean their destruction. Not that Pakistan's ceasefire violations will cease totally but yes, certainly there will be caution imposed on them. 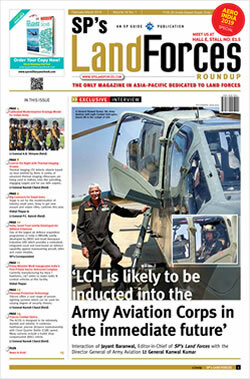 Besides, Pakistan army too has WLR, albeit not indigenous. With longer range artillery and rockets on the anvil, our R&D must focus on the next advanced version of Swati that can cover extended range artillery and take on multiple targets simultaneously – beyond the seven that Swati is capable of taking on.